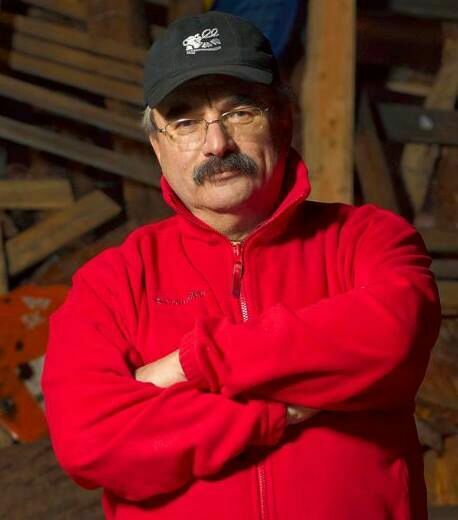 Canadian-born Myron Spolsky: "Many processes which occurred in the early days of independence should have been finished that time, but they are unnecessarily slow." UNIAN sat down with Myron Spolsky, one of the leaders of the Ukrainian scouting organization Plast, an entrepreneur who once moved from Canada to Ukraine and observed how the Ukrainian state and society have been changing over the years of independence. Mr Spolsky told his story of his settling in Ukraine, the Plast organization, as well as the pressing problems of dragging Ukrainization, corruption, and boosters of public discontent that have been bringing major changes to the country. You’re Canadian-born, but with Ukrainian roots and you’ve decided to come and stay here in the late 1980s. What caused such a change, what was the reason? - I came here originally on a project involving the millennium of Ukrainian Christianity. We planned and organized a series of concerts in Winnipeg, Canada, where I lived. We wanted to do something different from traditional Ukrainian concerts – our plan was to introduce Ukrainian academic music to Canadian audiences, which had not been Ukrainian academic music, it was not until that point performed by Canadian orchestras and soloists up to that point. This included – music by Skoryk, Stankovych, Kyva, Liatoshynskyi and so on. We had a series of three concerts during a one week period, we brought Nina Matvienko, and that was her first visit outside the Soviet Union to a non-Soviet bloc country. It was a very successful series of concerts, it was named by all of the major Canadian news media as the most successful and most innovative series of concerts that year in all of Canada. That started a process of Canadian audiences understanding things Ukrainian and a process Ukrainian music being performed by Canadian orchestras and Canadian performing ensembles. So you set everything up? - I was travelling to between Winnipeg and Kyiv, setting up the coming tour, signing the performers’ and composers’ contracts, and finding the music. Ukrainian class called an Academic music was not available in traditional music libraries, where normally you would find the music from. So you had to come here, go to the Musical Fund, then located on Sofiivska street, arrange for the shipment of the score to Canada directly, instead of waiting for publishers in New York to contact Moscow. Moscow may or may not want that music come from Ukraine, but would send the music of Russian composers and drag it till the last minute till it is too late, this was the traditional thing. And you decided to stay? Yes, I ended up staying here. The first time I’ve arrived here on January 9, 1988, and a week earlier Gorbachev announced his new policy of “perestroika” and "glasnost." Everything was changing, society was changing, and it was interesting to me. But originally I had no intentions to stay, I thought I would see how things go and I would go back to Canada and resume my life. After you stayed, how did you start off here? Was it business right away? Virtually, yes. I have registered my first company here in September of 1988. As I didn’t have permission to do it in Kyiv, I did it in Tallinn, Estonia. I started in a trade business. There was another Canadian, who had a pizza business, and he asked me to come to organize a trade business with him, and that is what I’ve started doing. What kind of Ukraine did you see? "What kind of Soviet Union" - will be more appropriate. It was very backward in many respects: socially, economically, the infrastructure, mentality, and I think we are still feeling the effects of that. You had one social level which was the “nomenklatura”, which were the people who ruled the country, and their children and families were part of one social class, which had certain privileges that included studying abroad, travelling abroad, serving in the Soviet diplomatic missions and trade missions in other countries, they were growing up and living a lifestyle of a relative privilege. I think we tend to forget that because it was a very different stratum of society. And then we had the rest of society, earning 120 rubles per month and living covering their basic needs, but there’s nothing available other than the basic needs. If you had family outside Ukraine they would send you parcels and you would sell them on a “black market”, among friends. You would have this kind of accumulation of wealth “under the table”, and it occurred throughout society. So it is not unusual that we have a system of oligarchs and people who have privileges and we seem to have entrenched their privileges in society. We saw a system that was economically bankrupt, bonds were not being repaid, and of course the currency changed periodically - when people were given by the authorities one hour to change the money and the house was full of cash, of course. All that was a unique experience. Politically, we saw utter corruption, present in every respect, everything based on who you knew, how you knew them and what kind of gift you could provide them with: money, chocolate, alcohol, but money was always welcomed. It looks like that what was happening over 25 years ago is happening now as well. What is you opinion on present-day Ukraine? I am not a traditional businessman – material wealth is not the most important aspect of what I am doing, I have the ability through this business to observe what’s happening in society. This is more interesting than wealth accumulation, although money is important. It is difficult to say what has changed, but the process has remained that same. In the olden days, to get an approval or decision on registration you had to find the link to the First Secretary of the Communist Party, later you had to find a link to the head of the regional council, head of the administration and so on. So you got to be closely in tune and you actually got to know them. That system was replaced under President Kuchma and Head of the Tax administration Azarov, when organized crime (connected to the Azarov system) started to play a role. The social changes that were accruing largely dependent on youth – young people, students that were in the universities started to recognize that they were not a part of the empire, opposite to Russians, but Ukraine as a former colony was separating – intellectually, emotionally. What are the main boosters of a social wake-up? We have the phenomenon of independent universities here – Kyiv-Mohyla Academy, Ostroh Academy in the 1990s – these were efficient in terms of changing public opinion; the return of the descedents and their inclusion in the system provided an impetus for change. All that started to create changes that allowed for the first Maidan to occur. So we have Revolution on Granite in 1990 leading to the first group of politicians that were pretending to be not corrupt and reasonably pro-Ukrainian during 2004, leading to the next generation and the stupidity of [former president Viktor] Yanukovych, leading to events 2013-2014 and leading to another major change in 5-7 years. I can assure you, there will be another major change, and it will be the breaking point. There is a lot to be done in Ukraine, indeed. Many processes that occurred in the early days of independence should have been finished that time, but they are unnecessarily slow. For example “Ukrainization” – that could have been settled in a very quick way and it would have been democratic, but we still have this problem today. Today we would have no language speculations in Ukraine. The biggest problem at that time was destructive liberalism which basically was “all-permissiveness.” If we look even at Canada, which is overly democratic country (all is allowed, within the law), there are some strict regulations. When the language laws came in Quebec, it was set that this is a French language speaking province and it means if you want to work in this province you must speak French to your clients, you cannot start speak English except if he or she says “I am sorry, I don’t understand French”, then you may go over it. You may, but you are not required, to speak English. You can send your child to an English language school only if both parents were born outside the province of Quebec and their first language at home is English. We have also law regulations related to the Ukrainian language, but it just doesn’t work that well in a real life. That’s true, because nobody enforces it. You have to Ukrainize the educational system first of all, that’s where it starts. And it starts with when a child sets foot on school property, school yard – he/she can only speak Ukrainian, “krapka”, “tochka”, end of story. No other issues. In the school everybody must speak Ukrainian, no matter the language of instruction, if it’s specialized Russian language school, English language school etc. Actually, this scheme works in Kyiv-Mohyla Academy. That’s right, it starts at that level. There are plenty of Russian language schools: Lviv has 6 Russian language specialized schools, why? Why does it has six or seven Polish language specialized schools? Ivano-Frankivsk has about four Russian language specialized schools, why? Zakarpattia – same problems. You should do it the way it is done in Canada – we have schools with the languages of minorities – English-Ukrainian, English-German, English-Hebrew etc. If you go to an English-Ukrainian school, you learn mathematics, physics, Canadian history – all the basic subjects you talk in English, it takes half a day. The soft subjects are in Ukrainian, that’s it. But the language of system itself is fundamentally English. And that is because Ukrainian is no threat to English there, that’s why they encourage students to speak Ukrainian within the school, on school grounds. But here, Ukrainian is a threatened language. The broadcasting system has to be entirely in Ukrainian, all other languages must be translated into Ukrainian over the top, not subtitles, it has to be verbally translated. Some say that in Ukraine there is a big Russian community and they used to speak Russian. Main argument is that all of this will cause a lot of tension. Every single one of them understands Ukrainian perfectly. I’ve just come from a group of Donetsk emigrants, we ran a workshop for them. So, these 40 children, with their parents, all recent arrivals, all understand Ukrainian, we didn’t say one word in Russian to them. Democracy still has to have some discipline and democratic society requires to maintain that discipline. 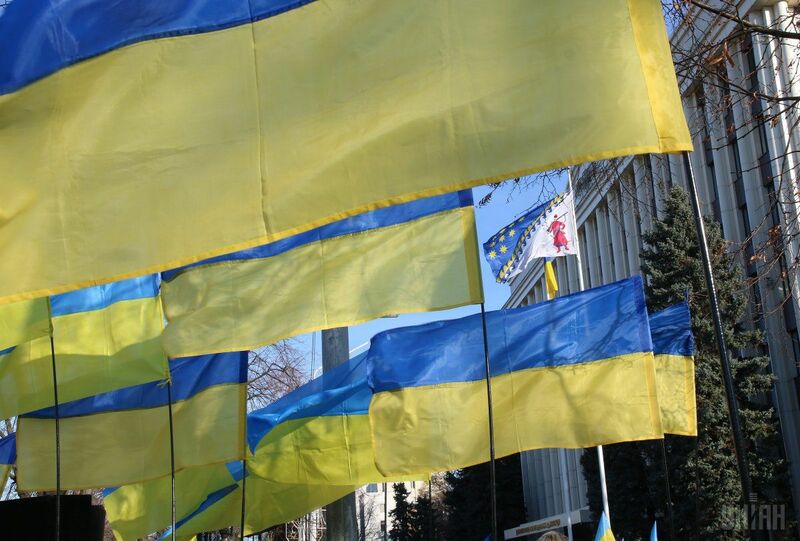 Do you see some positive tendencies in Ukrainian society after the Revolution of Dignity? You are very involved and active as a public person. General tendencies are positive, but they are too slow. Maidan and the first year and a half of the war exhausted people emotionally, that is a serious problem. We have a process of reconsideration of issues, we have the revenge of the lumpen. That is uneducated social class itself that ruled Russia and the Soviet Union. Those people are sitting on the benches near their porch with nothing else to do about, they are 55-60 years old, and their children, who are no better, became “titushky” [street thugs used in government-orchestrated rallies] or “vatnyky” [Russian government sympathizers with lack of critical thinking] – this is an emerging problem. We have to do something in the school system to change their children. That’s what we actually do within Plast. How important is the role of Plast in improving society and youth in particular? That is what we need – good, active, freethinking youth groups that can proceed both in sports and social activities. Plast is a scouting organization that, I believe, in the world international scheme of scouting organizations is the second or third oldest, we were founded in 1912. I came from a family of members of Plast, my father was in Plast in Ukraine in the 1920s, and in Canada, my brother and my sister were in Plast as well. I’ve maintained my activity throughout floating in and out of Plast as I was floating in and out the political world. That’s because our political activities should never interfere with our activities in Plast as it is non-political, non-religious organization. In Canada, the United States or Europe main position of the organization is to preserve the culture and certain mentality, helping children develop in Ukrainian spirit, and now in Ukraine it is trying to find its position. I think it is a very important way to bring up children, as they are raised as independent, self-disciplined, free-thinking individuals. How does it affect their further lives? One of the most influential ministers in the Canadian Government is from Plast – Chrystia Freeland. There are other ministers, members of the Parliament, and here you have a whole range of “plastuny” in the government and parliament. Plast as a scouting organization has a very large role to play in changing society to a better, ensuring certain honesty. It is very rare in Canada for somebody without some scouting experience to become a member of the General Staff of the Canadian Armed forces; virtually every President of the United States has been a scout at one point of his life. But, unfortunately, our society is still only about to change. Lately, you’ve mentioned some major changes that can happen in the nearest future here, like another Maidan – what do you mean by that, are there any indicators or tendencies? Either state corruption is ended and those in power stop earning money by virtue of being in power or people will hit the streets again, and it will not be for three months, it will be for a much shorter period of time. And is the government doing anything to prevent it from happening? This government is reminding me a bit of Trump, because they are making error on error on error. Whether it is the electronic declarations [of assets] of anti-corruption public organizations or the dual citizenship law, other laws which they are adopting without considering the impact – both legal and social. Eventually, they will lose the support they have, polls show negative views on what they are doing, the steam is building up and when it is enough, one little issue and people will hit the streets. We have this problem – even when we make the government or authorities all together go away, we have almost nobody acceptable to put instead of them. Can you see some new faces that can come instead of the current ones, who would be real leaders and patriots, not plutocrats and swindlers? No. In that group that we call Euro-optimists, we don’t see anybody who is a prominent figure, who has the political strength to capture the support of the population. We see people who, while being European-oriented, still don’t understand how their lifestyle affects them as politicians. For example, [MP Serhiy] Leshchenko does not understand what was wrong with buying an apartment. He bought it from a person who might have influence on him, because the price was way lower than the market value. He couldn’t show really where the money came from and he sees nothing wrong in that entire process, that is the problem. So, when you think all that and compare to what he says, it does not correlate that well. And some things that he is saying are not that good, sometimes they are quite anti-democratic. Other MP’s are not much better, for example, being a deputy does not provide you with the right to draw a gun and threaten the police. For example [MP Volodymyr] Parasiuk, he has a lot of supporters in Western Ukraine, although he is a dishonest, fundamentally corrupt individual. Parasiuk especially is corrupt. And I am not talking about the others. So we have to clean ourselves of these people. I understand why Poroshenko appoints family and close friends to positions because in the Soviet Union it was one of the few ways in which you could try to guarantee your own security, everybody else would report on you, everybody could be an enemy. Wrapping it up, let’s try to find some positive changes, no matter how hard it is. For example, some westerners call Ukraine’s brand new patrol police a breakthrough. I believe, it is not a thing or some things but tendencies. Some societal changes are positive, the way in which people are thinking, I call this “Mohylyanka impact” on society. Those might be little elements, like people letting an ambulance go freely though traffic. The police reform is interesting, but I am not sure that they will succeed fully, because I don’t think the current minister is interested in it. The Ministry of Justice is making a good progress and some fundamental changes, The Ministry of Finance as well, but still they are slow. The Ministry of Health is trying to introduce improvements (even before Ulyana Suprun) but it faces a strong resistance from the apologists of the old system, which is a source of their corrupted incomes. The increase of taxes on tobacco and alcohol is very important, I think we need to stop drinking on the streets. We need to have more programs for children, change the school system, but it's two steps forward and one step back. We used to have a Minister of Education, who wanted changes and was introducing them, and the current one just doesn’t understand them, and no changes are being implemented. Not everybody, who is young and looks progressive, is really progressive – [former PM Arseniy] Yatseniuk is not progressive, he should be moved outside the political system. President Poroshenko has some good ideas but he should be surrounded by more progressive people. Generally, I think the society has changed, people are smiling on the streets, services in the restaurants have become friendlier, support for changes sometimes comes from some of the most unlikely sources. For example we have a private school at Pechersk – Novopecherska School, that is extremely progressive. It is financed by an oligarch Vasyl Khmelnytsky – why would we expect him to be in favor of purely Ukrainian-speaking? But it is one of the best private schools. I am glad about Ukrainian music, it is moving out of format. I think Ukrainian film industry is going very well, recent years' Ukrainian movies are very good. Basically, we are learning to be a good moderate European society with a fascinating culture.